The Kaliver Dynasty began with Rabbi Yitzchak Isaac Taub (1744–1821) of Nagykálló (in Yiddish Kaliv, Kalov, Kalev), Hungary. He was the first Hassidic Rebbe in Hungary. He was discovered by Rabbi Leib Sarah's, a disciple of the Baal Shem Tov. Rabbi Leib first met Rabbi Isaac when he was a small child, a small shepherd boy. 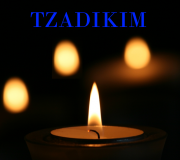 Rabbi Leib told his mother, a widow, that her son was destined to be a great Tzaddik. He took the small child to Nikolsburg to learn with Rabbi Shmelke of Nikolsburg. Rabbi Isaac grew to be a great rebbe and was known as "the Sweet Singer of Israel". He composed many popular Hasidic melodies. Often he adapted Hungarian folk songs, adding Jewish words. He taught that the tunes he heard were really from the Holy Temple in Jerusalem, and were lost among the nations over the years, and he found them and returned them to the Jewish people. He said that the proof that it was true was that the gentile who would teach him the song would forget it as soon as the rebbe learned it. He was famous for composing the traditional Hungarian Hasidic tune "Szól a kakas már". Today there are two Kaliver Rebbes. They are distinguished by the spelling of their title. The rebbe in Jerusalem is called the Kaliver Rebbe, (Hebrew: אדמו"ר מקאליב). The rebbe in New York is the Kalover Rebbe, (Hebrew: אדמו"ר מקאלוב). Grand Rebbe Menachem Mendel Taub is the Kaliver Rebbe in Israel, the son of the Rozler Rov, and son-in-law of Grand Rabbi Pinchos Shapiro, the Kechneyer Rebbe, scion of the Nadvorna Dynasty. In 1944 he was put on a transport to Auschwitz by the Nazis, and he arrived there three days before Shavuos. He was transferred from there to the Warsaw Ghetto and the Breslau concentration camp, and later to Bergen-Belsen. Six months after the war ended he discovered that his wife had survived, and they were reunited in Sweden. In 1947 they migrated to the United States of America, where he began his work in memorializing the Holocaust in Cleveland, Ohio . He moved to Israel in 1962. Upon coming to Israel, the Rebbe created Kiryas Kaliv in Rishon LeZion. The foundation stone was laid on 7 Adar 5723 (3 March 1963), the day of the Yahrtzeit of the founder of the dynasty, Grand Rabbi Isaac Taub. Several years later he moved his headquarters to Bnei Brak. In 2004, the rebbe's court moved to Jerusalem. During the last 60 years, since World War II, the rebbe has traveled to millions of Jews with his story and the saying of Shema Yisrael. He is also active in Jewish outreach and holds regular lectures for groups of professionals, including doctors and police officers. In addition, a Network of Kollelim, An Encyclopedia Project, and Several other divisions of Kaliv have been founded. Grand Rebbe Moses Taub is the Kalover Rebbe. His synagogue is in the Williamsburg section of Brooklyn. His father was the previous Kalover Rebbe, Grand Rabbi Menachem Shlomo Taub, the author of Chakal Tapuchin. 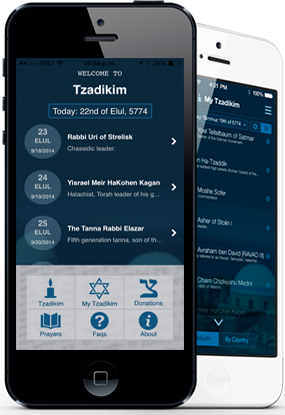 The present rebbe travels all around the world teaching Jewish people about Judaism.